It has only been a little over a week since I returned from vacation in Vietnam and it already feels like a distant memory. 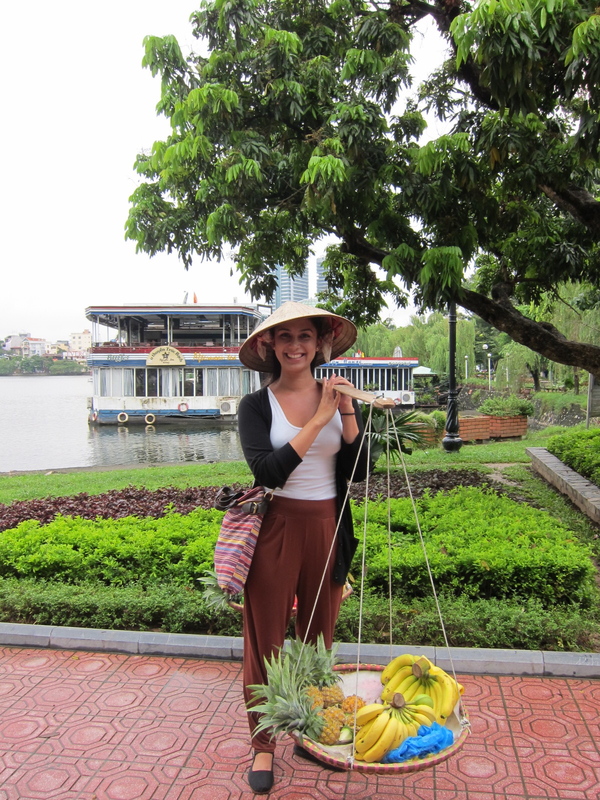 If I could hop on a plane and go back to Vietnam tomorrow I happily would. I miss it all, even the heat. We sampled everything we could and were amazed by how spectacular each bite was. With so many memorable dishes, I enjoyed surprisingly few sweet treats. 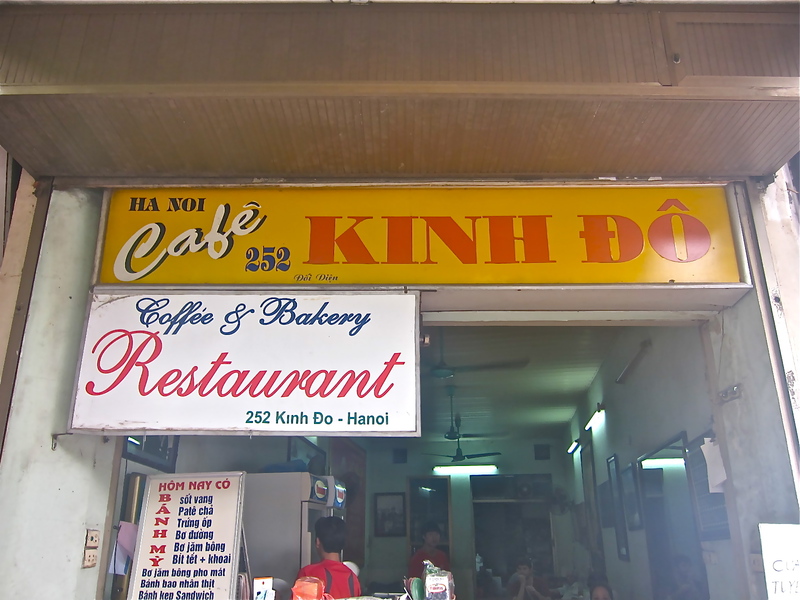 On a morning in Hanoi we visited Café Kinh Đô for Vietnamese coffee and French-influenced Vietnamese pastries. The café is simple and quaint, with a convivial atmosphere. We nestled into our plastic chairs and placed an order for coffee and sweets. The coffee in Vietnam is addictive. Rich, sweet, chocolately and smooth, it is scarily easy to drink and you may find yourself wanting more than one. 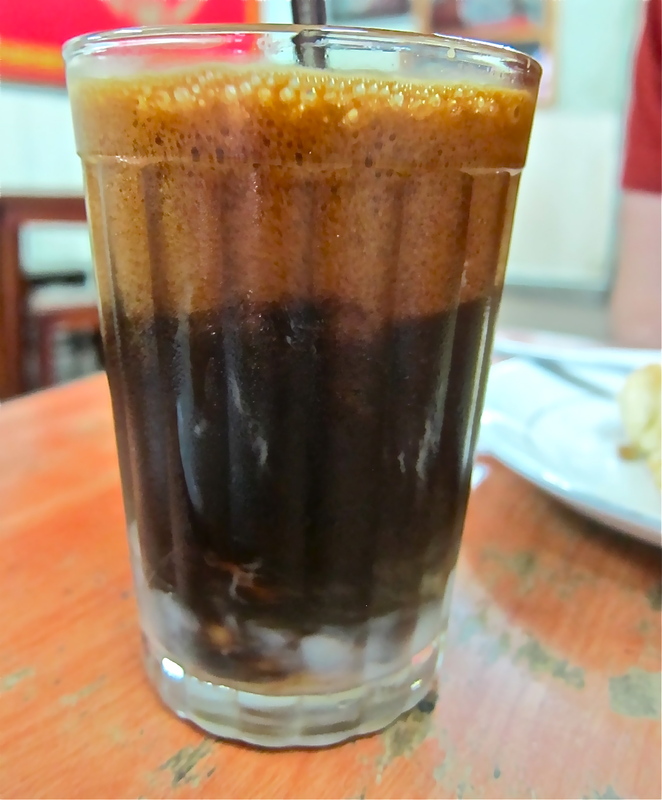 After many enjoyable cà phê sữa đá (Vietnamese black coffee with sweetened condensed milk over ice) experiences around Hanoi, Hue, and Hoi An, I noticed that each cà phê is slightly different; some cà phê is sweeter than others, some richer, some thicker. At Café Kinh Đô the coffee had a nice frothy touch. 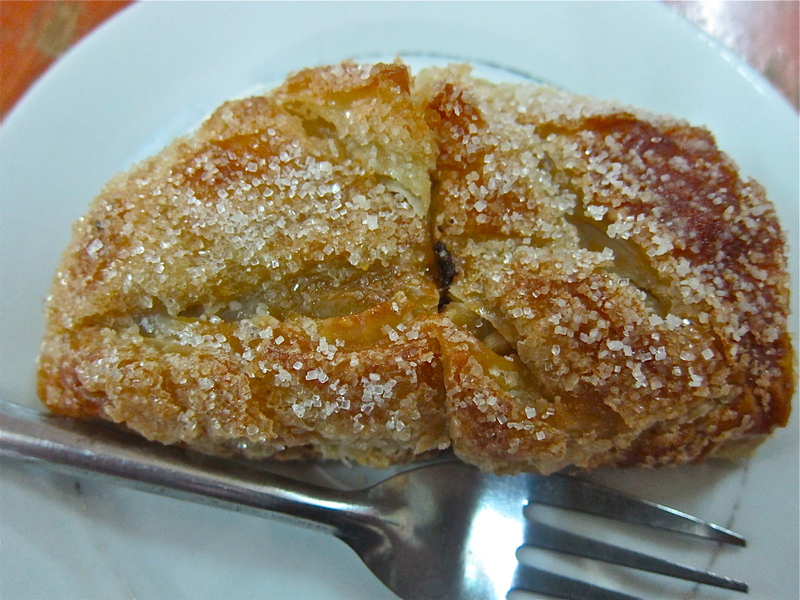 We started with a Bánh Nhân Táo (apple tart) that was wonderfully flaky. The apple center was nicely spiced with a vivid caramel flavor. 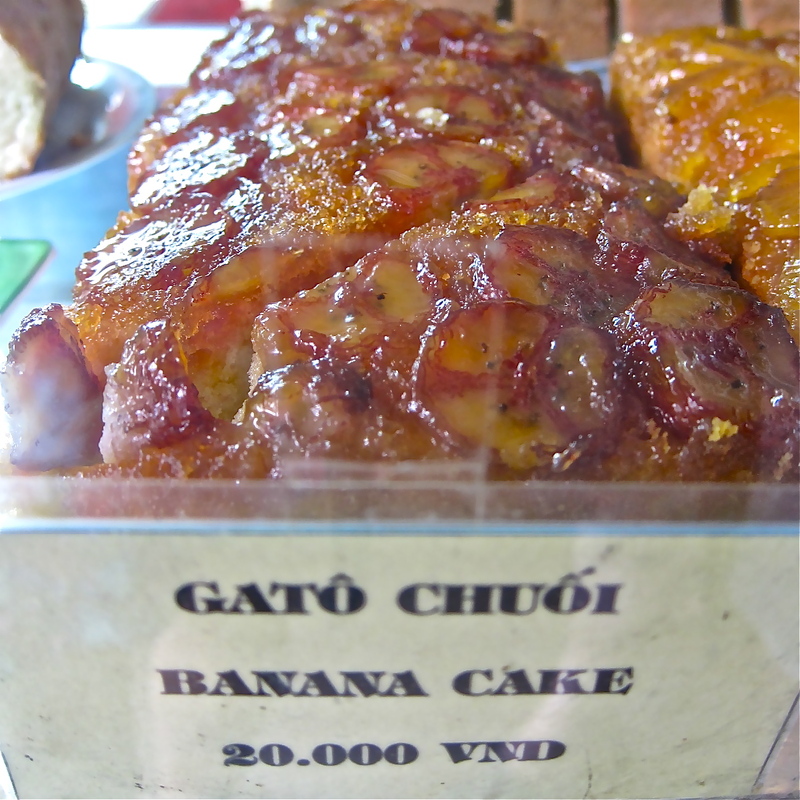 We also enjoyed a gato chuối (banana cake). Can I just tell you that the bananas in Vietnam are so much better than the bananas here in the US that I couldn’t get enough of them? When I found them in cake form I couldn’t help myself. This cake was gooey, sweet and full of yummy caramelized banana goodness. Café Kinh Đô is also known for their sour yoghurt, but after some many sweet treats we had little room for yoghurt. If you find yourself wandering the streets of Hanoi, this is a great little spot to stop into. 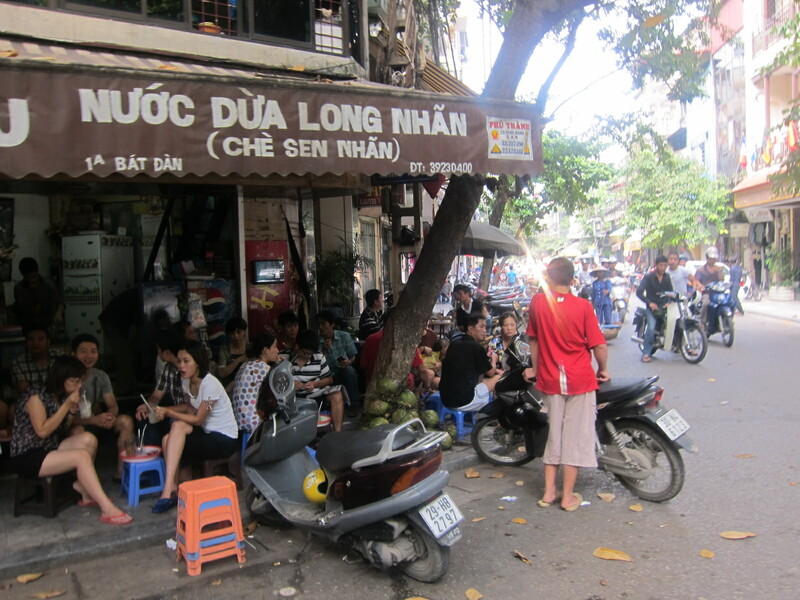 Plop into a seat under a large fan and slowly savor cà phê sữa and a pastry. Bún Chả is grilled pork served with a sweet tangy broth, rice noodles, fresh herbs and bean sprouts. This dish will be something you crave. 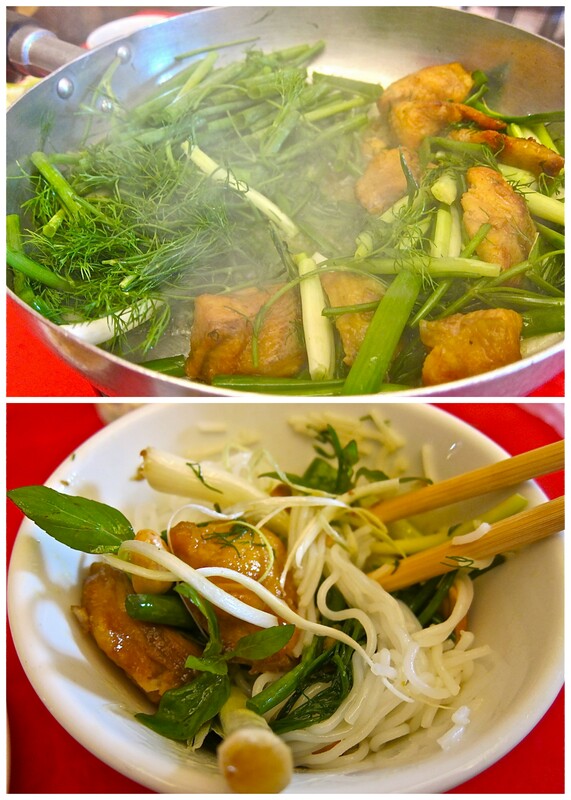 The meat is chared and succulent, the rice noodles comforting, the broth fragrant and the herbs bright. Chả Cá is Vietnamese Style Fish with tumeric and dill. You heat the fish yourself with spring onions and fresh dill. After it all sizzles together you scoop it on top of your rice noodles and add crushed peanuts, fish sauce and peppers. The fish is tender and the whole meal filling! Previous PostPrevious Postcard from Vietnam! I went to Vietnam last year, and your photos are making me nostalgic, even though we spent most of our time in Saigon, with a short trip to Hue/Da Nang/Hoi An. 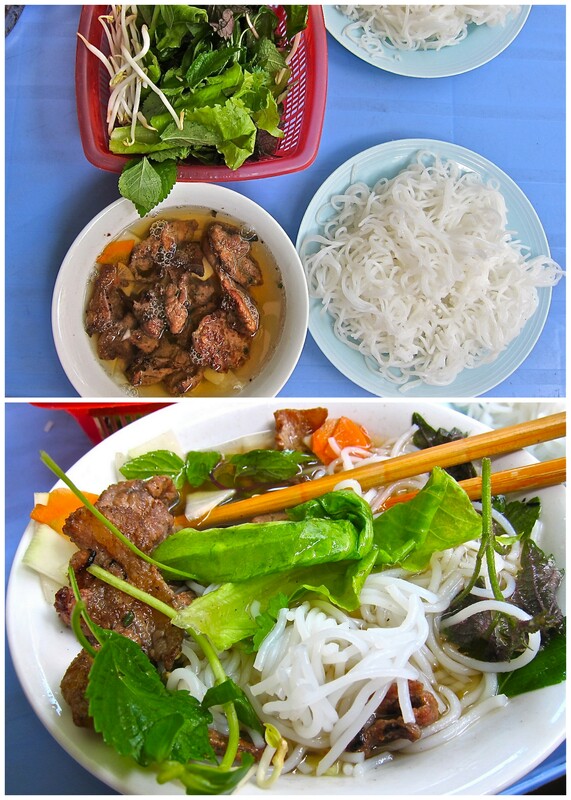 I sure miss the food in Vietnam! We were there a few months ago and had a fabulous time. Lovely pics N! i don’t feel like i got NEARLY enough banana action in vietnam! Damn good eating, Nastassia!!! Cha ca is my favorite thing about Hanoi. 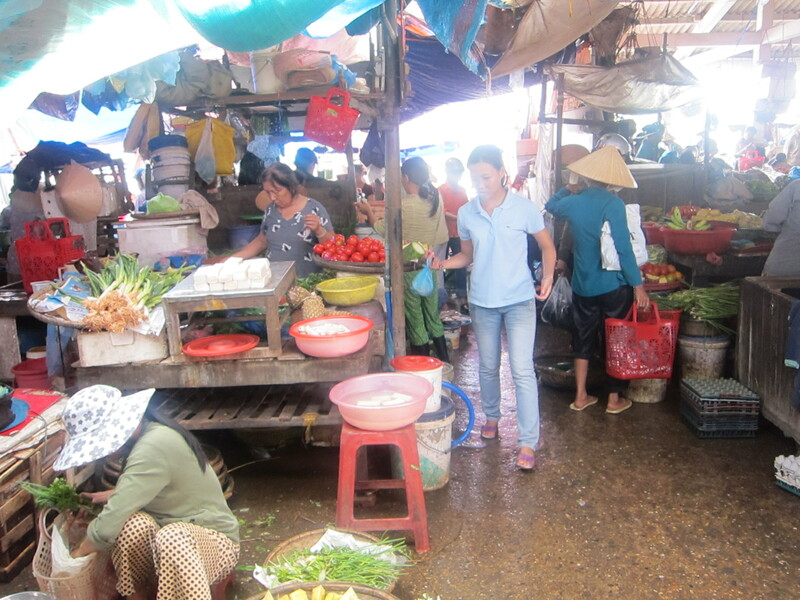 Allison – you’re right all the fruit is incredible, especially the fresh fruit juices! 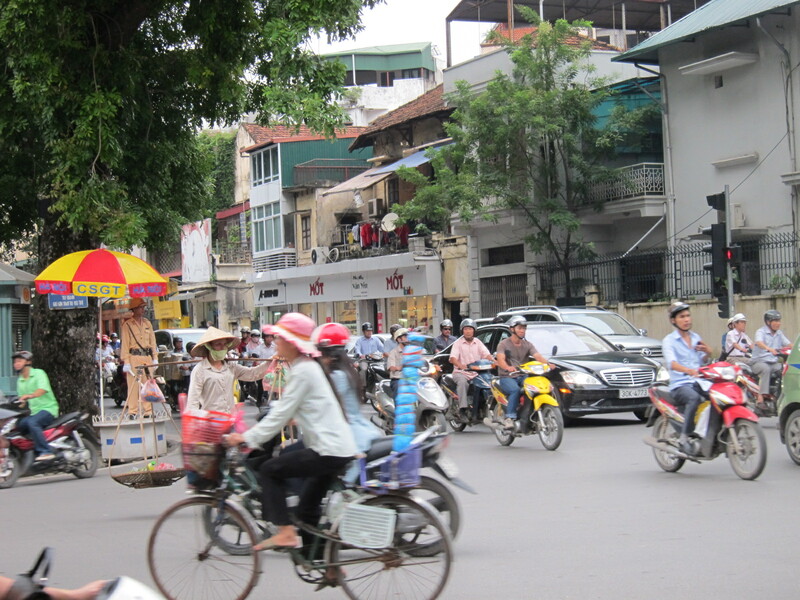 We didn’t make it Saigon but we did visit Hue and Hoi An as well. Cathy – Thanks! I got so many great recs from you all fantastic! Nice recap! I like the pic of you in the hat w/ the fruit. I’ve tried Vietnamese coffee here stateside & the peeps I was with said it was rocket fuel, they were right. It left me bouncing around the house & I wanted more! I bet it’s even better in Vietnam. Oh & that apple fritter looked pretty tasty too. Oh wow, that banana cake looks incredible! Cathy always says the fruit is so much better there. It must be hard to eat our bananas now!